There are many CMS platforms today. 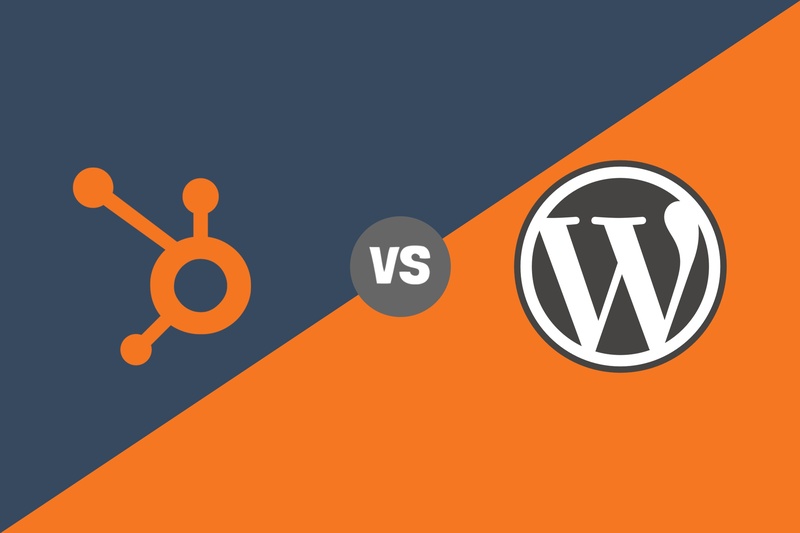 Learn about the differences between HubSpot COS vs Wordpress CMS in this detailed comparison guide. CMS stands for ‘content management system’. The CMS has had a revolutionary effect on online marketing because it’s allowed people with very little technical knowledge or experience to quickly and easily publish content online. There are many CMS platforms today. Among these, Wordpress is one of the most popular. It’s a mature product and with a wide availability of plugins, it meets virtually every need. When HubSpot published their CMS, they coined the term ‘content optimisation system’ (COS). It differs from a traditional CMS in two ways: firstly, it holistically integrates a wide selection of tools, pages, and features, from web pages, landing pages, and blogs to calls-to-action, social elements, workflows, and more. Secondly, it allows you to create personalised experiences for clients. At a time when personalisation and tailored messaging was huge, this was a very big deal. Which is better suited to you? Whether you’re an SME or a large enterprise, the problem isn’t which is better, but which is better suited to you. You can use both solutions to manage your website and online marketing efforts. The difference lies in how the two platforms facilitate this. The entire HubSpot platform is built around the inbound methodology. If inbound marketing is an important part of your digital strategy, or if you would like it to be, HubSpot is almost certainly your best choice. So where does that leave Wordpress? As a fully customisable CMS, you can use this platform in a variety of ways to achieve different ends. From posts and pages to categories and multimedia objects, you can make the platform your own. But wait — if Wordpress can do anything, can’t you use it for inbound marketing, too? And doesn’t that make it the obvious choice over HubSpot? In short, no. Think of HubSpot as a specialist inbound marketing platform, and Wordpress as a website tool. The value of HubSpot is in the ready-to-use ecosystem, designed specifically to monitor the buyer's journey, combined with CRM to track sales and the transformation of the visitor into a customer. The system you use depends only on what you’re looking for, and what’s important to you. This helps you understand exactly where each platform excels. Let’s look at the differences between the two choices in more detail. HubSpot: The HubSpot blog is tightly integrated with all HubSpot tools, including call-to-actions, contact lists and workflows. It’s also linked to the RSS feed and the email signature tool for subscribing to updates. HubSpot frequently updates it in line with business developments and Google’s algorithm updates, so you can be sure it’s following current best practice. Wordpress: Wordpress has a standard blog platform where in a short time you can start writing and posting. On the downside, there’s no native integration with other tools. All additional features need plugins. These are separate from each other and have different operating logic. HubSpot: With the HubSpot Landing Page Tool, users can easily add new pages that can work together with lists and workflows. Landing pages can also be customised based on the buyer's journey or a user list. In addition, landing pages can be monitored using a convenient tool that lets you see which pages people have viewed and links the data to overall site reporting. More data means a clearer understanding of what your customers are interested in and how you can optimise your page to engage them. HubSpot: The HubSpot site pages are integrated with the social media publishing stream, Call-To-Action Generator, and SEO tools. Marketing professionals can create websites without needing to use a single line of code, using the drag-and-drop template editor. HubSpot's website and landing pages can also be password protected, giving you the ability to control who can see the content on a specific page. This is often useful when creating thank you pages and resource download pages. Wordpress: Wordpress allows you to create drafts and schedule publication for a time and date of your choice. There are hundreds more features to choose from through the various plugins you can install. It should be mentioned at this point that plugins weigh down the site. In 2010, Google announced that website speed would impact search rankings. At best, this entails a decrease in upload speed. At worst, SEO indexing and overall user experience is compromised. While site speed isn't the primary focus of SEO efforts, it can impact organic rankings, thus traffic. HubSpot: HubSpot has an easy-to-use, WYSIWYG (What You See Is What You Get) editor that allows you to work on the preview of a page and gives you the ability to view thumbnails on mobile devices and tablets. Even calls-to-action can be created very easily without the need for code. Additionally, a secure sockets layer (SSL) can be added at no extra cost, giving another layer of security to your site. Wordpress: Wordpress offers a generous selection of themes. Some of these are free, others you will need to buy. The usability, efficiency, and even security of these also varies between templates, so you’re advised to test several and choose the one that best suits your needs. If you want a WYSIWYG editor with integrated CTAs and drag-and-drop design in the spirit of HubSpot, there’s another plugin for this. HubSpot: HubSpot has its roots in SEO. The management system has been built to meet Google's demands and keeps up to date with the latest search optimisation trends. As such, you won’t need to rely on a consultant to advise you on changes when the Google updates its algorithm. HubSpot takes care of it all for you. Wordpress: Wordpress is not born with integrated SEO capabilities, but there’s a handy — yes, you’ve guessed it — plugin you can install for this. To keep this up to date and working as intended, you’ll need to make changes to the graphics template whenever Google releases an algorithm update. 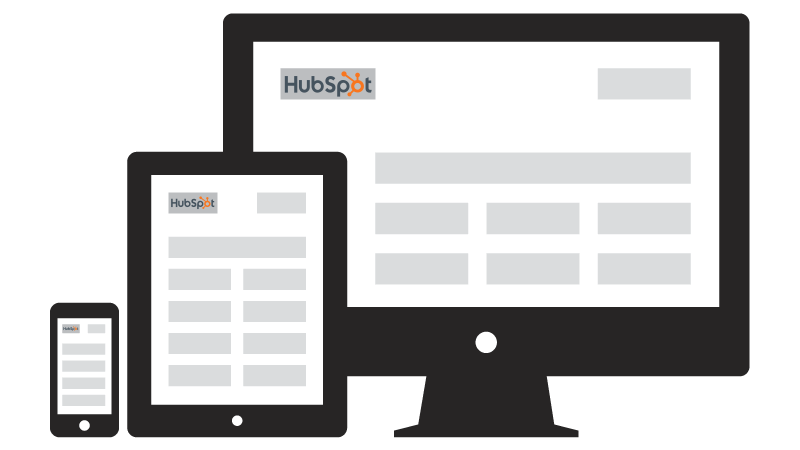 HubSpot: HubSpot was designed with the goal of nurturing visitors into customers. Data collation and performance monitoring is a huge part of how it achieves this. Using the platform, you’ll be able to contextualise and segment your contacts, enriching profiles with as much information as possible so you know exactly who you’re targeting and how to engage them. Wordpress: Wordpress offers broader strokes. It’s able to show the number of visits you’ve received each day/week/month, as well as geographical and behavioural data like country of origin, best posts, and where clicks have arrived from. Furthermore, many Wordpress users can make use of Google Analytics, but HubSpot takes this further by giving in-depth analytics on individual customers once they are known to you. HubSpot: The HubSpot email tool utilises integration with contact lists and workflows to make it more powerful. By using lists, you can create Smart Lists that populate over time depending on the actions made by the contacts on the site. For example, you can create a list of people who clicked on an email, visited the price page or mentioned you on social media. Workflows allow you to create automated actions in order to interact with them at the ideal time of their buyer's journey. Wordpress: Wordpress doesn’t provide lists, contacts, emails, or workflows. There are always plugins, but there isn’t one that integrates everything, and each function works separately, without allowing a common dashboard for management or analysis. 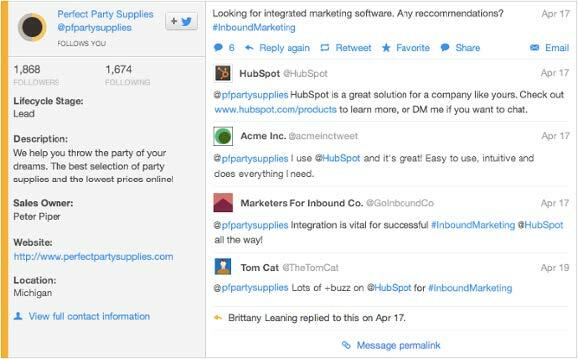 HubSpot: By using HubSpot Social Inbox, you can create segmented streams of customer-based Tweets and monitor the use of a specific keyword on Twitter to help you engage with relevant audiences. You can also follow contacts you have in the database and engage with them across various channels to aid lead nurturing. Within HubSpot you can monitor, share, and get involved in the conversation with customers in social media all with the context of your marketing database. Wordpress: Wordpress doesn’t have a feature for integrated social media. Again, you need to download third-party plugins, which can be used to replicate some features. HubSpot: HubSpot has a full support team to answer all your questions. There’s also an active community from which you can draw information: forums, HubSpot user groups and localised resources across different nations, LinkedIn groups, and a certified partner network. Learn how to increase customer satisfaction and generate more business. Wordpress: Wordpress also has a large community of users behind the platform, and a plethora of consultants and professionals selling Wordpress services. With so many plugins available, you’re going to want to research their uses and research other users’ experiences before becoming too reliant on them. HubSpot: HubSpot has Inbound Marketing Consultants, Account Managers, and highly qualified Academy Professors dedicated to training and education. 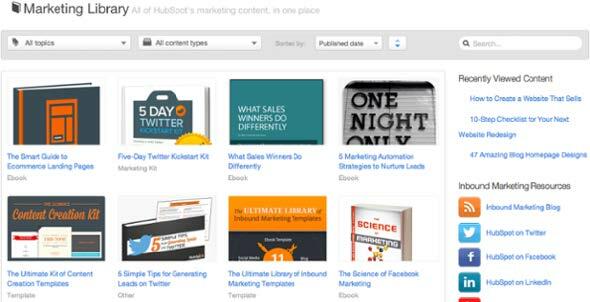 The HubSpot blog and the Marketing Library provide resources for continuous education. Their wide range of certifications help you look at specific topics in depth, including the platform itself. Wordpress: Wordpress has forums and documentation available to help with training. In addition, it provides access to free resources on their product. HubSpot: The HubSpot engineers team performs daily updates, experimenting with new solutions to improve user productivity. Wordpress: Wordpress has a great open-source team. However, due to its nature, it needs frequent updates that need to be made by users. Third-party plugins are also updated, each with its own logic and frequency, with no direct correlation to the Wordpress developer team. Problems of version compatibility may arise, meaning a simple update can cause technical problems that you may need to rely on expert support for to resolve. HubSpot: As an all-in-one platform, you’re required to pay an annual fee that includes a SSL certificate and platform services (newsletter, SEO, Workflow, Form, Call-To-Action, Analysis, and much more). With this initial cost in mind,72% of customers say their sales increased in the first year. Wordpress: Open-source does not mean free. When calculating the cost of Wordpress, it’s important to consider the manual hours you can expect to put in installing plugins and configuring your site for your business. This is on top of paying for the hosting, edits to the CSS, tracking platform updates and making backups. When it comes to building a website to generate leads, however, it's clear that HubSpot is the best choice. We often talk about customising content. The COS of HubSpot is a valuable tool for segmenting content based on all the marketing data collected. It can be done based on the actions that users have previously made on the site, allowing you to differentiate content depending on the various interests. 1. Smart call-to-actions: HubSpot allows you to change the CTAs according to the actions previously made on the site by the visitors. For example, if a visitor has already downloaded an eBook, you can change the CTA to invite him to download another, depending on his potential interests. 2. Smart content: In addition to the call-to-action, other content may also be modified by using the data collected from visitors to show them different content in harmony with their interests, or their position in the buyer's journey. 3. 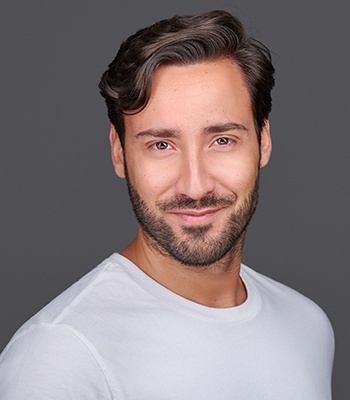 Smart forms: A smart form enables you to collect more information from a user who already has their basic information stored on our platform, giving you more insights into who they are and what makes them tick, without overwhelming them with too many questions straight away. Are you sure that building leads for your business is not a primary necessity? How about nurturing those leads into customers? If the answer is 'I want my website to attract and convert customers', then you should have no doubts as to which platform is right for you. Wordpress is great for personal blogs, integration with WooCommerce for easy e-commerce and more complex content management capabilities with a rich database functionality, but HubSpot COS is holistic. The end isn’t just website or content management, like a CMS, but the ability to manage, optimise and integrate every digital marketing component together. For a company driving towards a sophisticated digital marketing strategy, HubSpot is the better choice. PS: If you’re interested in HubSpot’s potential to transform your business but you already have a Wordpress site and don’t want to waste all the time and work gone into it, don’t worry. You can integrate your existing Wordpress site with HubSpot, enhancing the functionality of your existing platform while dedicating yourself to a determined web marketing process. 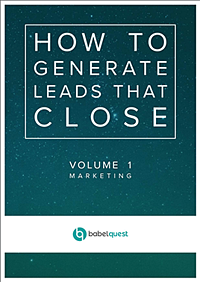 Learn how to use the HubSpot Growth Stack to generate leads that close and drive tangible revenue growth for your business.